Introducing P. King's newest app release, Great Jog! King Duckling is off and 'jogging' to his favorite cities around the world. Join him on his adventures in this endless runner game packed full of coins, power-ups, life extensions and tricky obstacles. 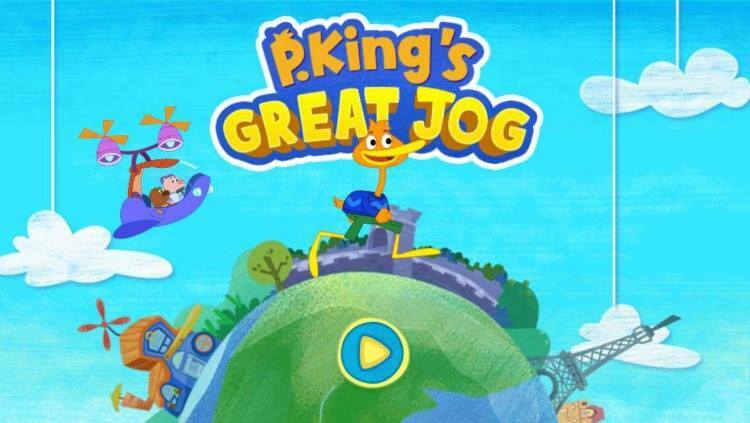 Designed for ages 5 and under, in the Great Jog, users dash around three levels with P. King as he jogs through The Great Wall of China and the colorful sites of Paris. Guide P. King to collect enough coins to trade-in for special super power costumes and collect turnips for a bonus trip to outer space! What a great way to introduce your little ones to travel and the wonders to be found--and it won't cost you anything--no airline tickets, hotel rooms and food. Well--you might want to get a couple of snacks! This game is sure to spark their imaginations about things and places far from home. This kid-friendly app game is entertaining for the whole family. P. King is completely free to download on iOS devices such as iPhone, iPad, or iPod Touch. It has NO in-app purchases. Download now to begin jogging around the world with P. King Duckling! In honor of the Great Jog app release, we are hosting a giveaway! You can win this awesome P. King Duckling prize pack! 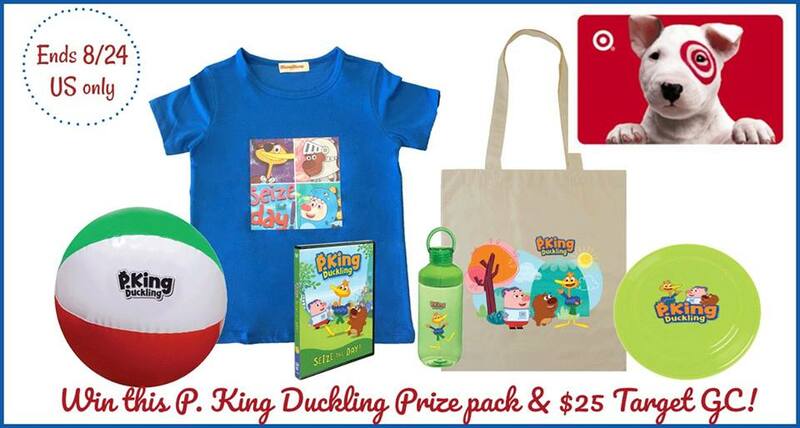 Tote Bag, Water Bottle, Beach Ball, T-Shirt, Frisbee, AND $25.00 Target Gift Card! Giveaway ends on 8/24/17 at 11:59 pm ET. I have never watched p. king Duckling -not sure why we watch Disney Jr. I will start looking for the show. my kids are too old for it. I have not watched it. My niece is still too young, but in a year I bet she will be watching this show. My grandsons haven't seen this show yet. I think the grand kids may have seen the show,( the prize pack will go to them.) I haven't see it yet. We don't get Disney so no they haven't watched this show. My kids are too old now. My niece loves the show, however!! This would be great for her. I don't know if my nephew even knows about it but I will ask :) ! We have not seen this one yet. I think he would love it!!! My son hasn't checked this show out yet. Yes it is a great show. I never knew about the show until I read this post. :) Will have to check it out. Unfortunately not yet, but I think they would love it, so maybe soon. We have not seen this one yet. We will have to check it out. Thanks for the chance to win such an amazing giveaway.